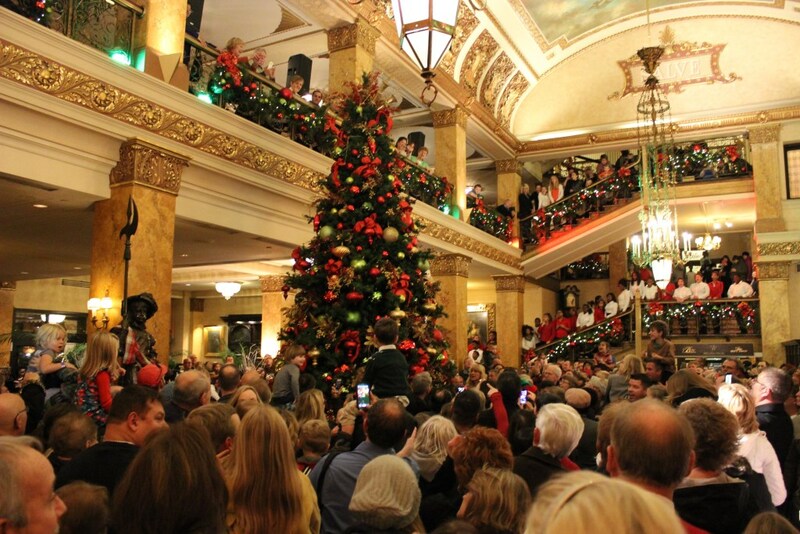 Pfister Hotel lobby. Photo via Pfister Facebook page. Milwaukee, Wis., January 16, 2018 – The AAA Four-Diamond Pfister® Hotel, owned and managed by Marcus® Hotels & Resorts, today announced six finalists for the 2018-2019 Artist-in-Residence program. This year’s finalists are Katheryn Corbin, ceramic figure sculpture; Clare Jorgensen, encaustic painter; Heidi Parkes, fiber artist; Kate Schaffer, painter; Stephanie Schultz, fashion designer; and Alice Wilson, living statue performer, costume and makeup designer. The 2018-2019 Artist-in-Residence winner will help celebrate the 10th year of the internationally recognized program, which provides an opportunity for local artists to enjoy a highly visible platform to showcase her work. 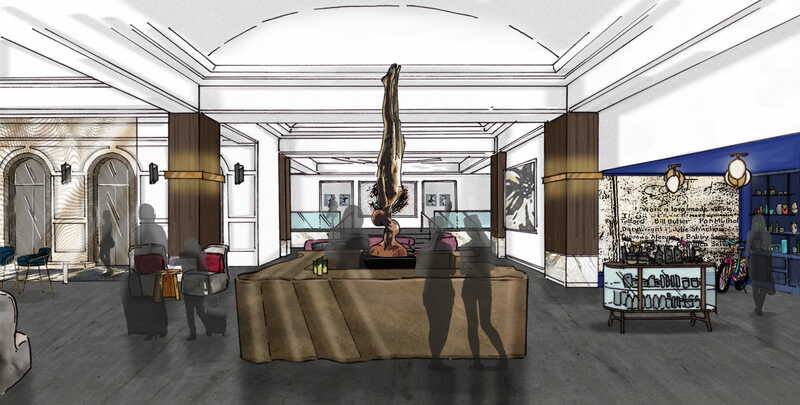 This includes a year’s worth of creating and displaying their work in the designated artist studio and gallery on the first floor of the 125-year-old Pfister Hotel. Guests and the public can visit the artist during her residency in The Pfister’s studio and watch the evolution of each piece come to life while learning about the Artist in Residence’s unique artform and method. Beginning at noon CST on Friday, January 19, 2018, members of the public will be able to vote online at www.thepfisterhotel.com/vote once per day, or via manual ballot vote at both Gallerie M and the Artist-in-Residence Studio at The Pfister Hotel. Voting will end on Friday, February 16, 2018 at noon CST, and the selection committee will announce the next Artist in Residence soon thereafter. The public voting will comprise of one seat on the selection committee, influencing the final decision. Regardless of who is chosen as Artist in Residence, the winner of the public vote will receive a solo exhibit inside Gallerie M and a $300 Utrecht Art Supplies gift card. Whether you’re looking for vibrant nightlife or a uniquely refined place for meetings, InterContinental® Milwaukee is your downtown destination. Mixing sophisticated elegance with modern luxury, InterContinental Milwaukee offers a chic, upscale atmosphere with a twist of the unexpected. Adjacent to the scenic Milwaukee Riverwalk, InterContinental Milwaukee is centrally located to downtown’s business and theatre districts, parks, restaurants and nightlife. Discover the historic Pabst Theatre, the Milwaukee Public Museum or one of Milwaukee’s many summer festivals. InterContinental Milwaukee is located at 139 E. Kilbourn Ave. in downtown Milwaukee. 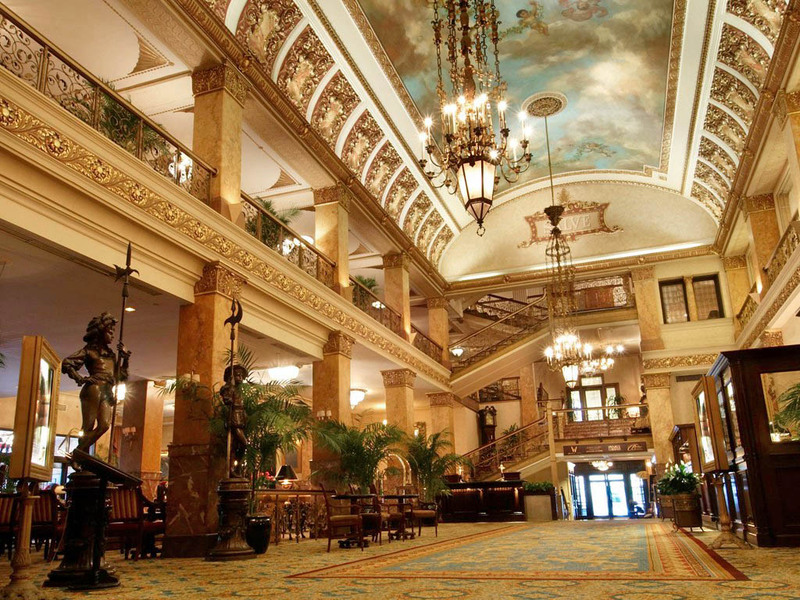 Find the hotel on Facebook (facebook.com/InterContinentalMilwaukee) or follow it on Twitter (@InterConMKE) to learn more about upcoming exhibits, events and specials. Marcus Hotels & Resorts owns and/or manages 18 hotels, resorts and other properties in the U.S. The company’s distinctive portfolio includes city-center meeting hotels, upscale resorts, historic properties, and premium branded and independent first-class hotels. Marcus Hotels & Resorts is an approved operator for all major lodging brands. 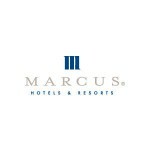 A leader in the hospitality industry since 1962, Marcus Hotels & Resorts creates asset value for hotel owners through its expertise in management, development and product repositioning, including hotel food and beverage concepts developed by its Marcus Restaurant Group, featuring premier brands such as Mason Street Grill, ChopHouse and Miller Time Pub & Grill. The company is also growing its experiential restaurant concept, The SafeHouse, with a second location that opened in early 2017 in Chicago, Ill.